This is the second in the "Hands/Emotions" series. I painted the hands in a gesture of holding or asking and in doing so they form the shape of a heart. 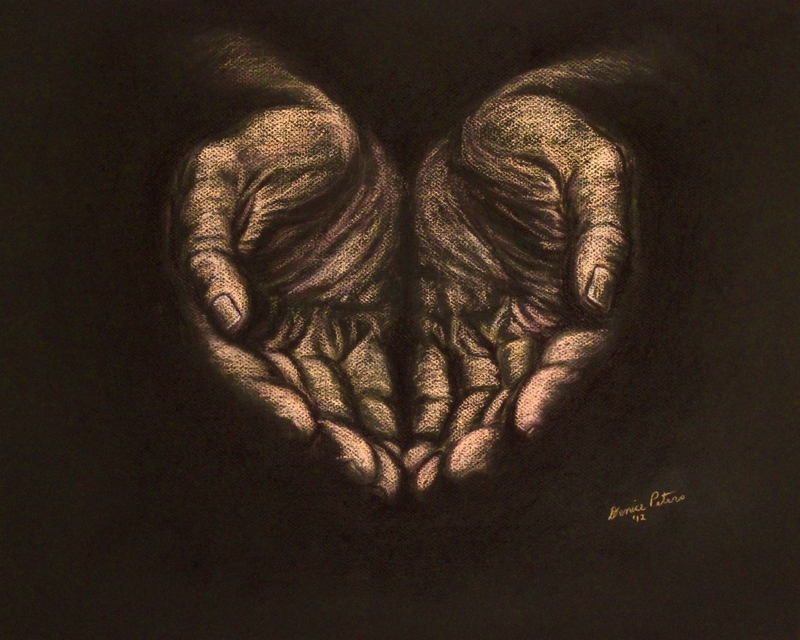 I wanted the hands to be against a dark background to help send the message that there is a big need for charity in this world and it puts its victims in a dark place. I also wanted the hands to look like they were coming out of the darkness (or despair) toward the light and coming at the viewer. I let the viewer fill the hands. It is painted with soft pastels on Canson paper and is unframed. The painting measures about 16 x 20. 8" x 10"11" x 13.75"14" x 17.5"